One of the most common problems on Beckett oil burners is clogged filters and nozzles which will require an unwanted service call from a boiler technician. This has of course annoyed homeowners for years. 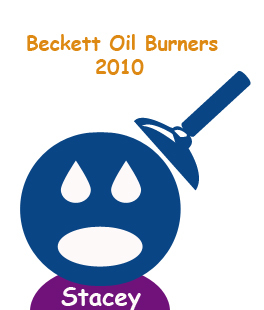 The good news is that the Beckett Oil Burner company now has a product that can help you avoid this all together. In the last couple of years #2 fuel oil generates solids at a much faster rate then the past years. This is because of the way the fuel oil is produced, some factors that contribute to this is a higher microbial life in refinery’s as well as oxidation and water that can be mixed with the fuel. When this happens there is an actual word for it and its called “gumming”. Gumming is the black stuff that will cause poor fuel combustion as well as other things like excess soot that can cause back-puffs.The product called “FuelArmor” is made by the R.W. Beckett company and engineered to work exclusively with thee products. 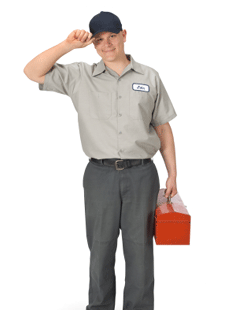 In the past things like oil tank cleaning and maintenance was recommended as well as keeping the oil tank half full. These are the things that the professional oil repair man recommended before Beckett decided to create the FuelArmor. Beckett FuelArmor Can Improve Fuel Performance! The Beckett FuelArmor will give you extra protection against oxidation as well as corrosion. The bottle may look small but the additive is high powered and is also 100% soluble in fuel, which means it will mix in with the fuel super easily. Beckett recommends that you use this as an annual treatment to protect the fuel lines, fuel oil tank and also the fuel pump and nozzle. Basically this stuff will keep your burner running smooth and gum free. The way they recommend that you add the Beckett FuelArmor is to do the following. 1) You should first stick the oil tank to determine if there is any water in the tank. 2) If there is water in the oil tank you will want to pump out the excess water and sludge before adding this product. 3) Once you have removed the sludge and the excess water if there was any you will now want to add the 8oz bottle to the tank. This will treat the next 1,000 gallons of oil with the proper amount of FuelArmor and you are sure to have less oil problems. 4)This will conclude the initial treatment of the additive, there is also a recommended dosage for preventive maintenance. To keep your Beckett Oil Burner running even smoother Beckett recommends that you do a preventive maintenance dose and to treat the fuel at 1/15,000 of a dose. As you use more oil and as time goes on you will ultimately be keeping your burner in top shape because this product will give you that extra layer of protection that you need. Many service professionals across the country and recommending this to all of their customers as well, its better then having your beckett burner break down because of fuel clogs that could have been avoided. FuelArmor is a registered trademark of the R.W. Beckett Corp.
Sir: My question is what would happen if i use FuelArmor without pumping out water and sludge from my buried 550 gallon tank? Thank you for any response.